HomeWhat can outbreaks of Salmonella from the 1950s tell us about CRE? What can outbreaks of Salmonella from the 1950s tell us about CRE? An outbreak linked to contaminated neonatal respirators. An outbreak linked to a contaminated chopping board (see Figure). In this outbreak, one of the investigators apparently contracted Salmonellosis after touching the chopping board during sampling and then having a cigarette before washing his hands. An outbreak (of microbial endotoxin syndrome) linked to a contaminated mouthpiece of SCUBA equipment. Here, the outbreak occurred in naval diving academy and the pattern of lessons and cases was so regular, that the epidemiologist could predict precisely when to visit to see the next case. 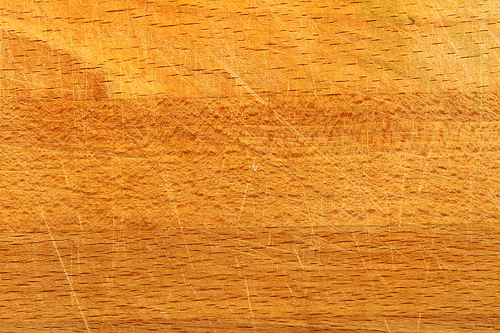 Figure: A chopping board at risk of persistent microbial contamination due to surface damage. Although most outbreaks covered in the review relate to ancient catering-related outbreaks of Salmonella, there may be some useful learning for hospital epidemiology today, specifically CRE. It’s rare although not unheard of to find Salmonella carrying a carbapeneamase (i.e. Salmonella CRE). However, Salmonella is a member of the Enterobacteriaceae, so the involvement of contaminated surfaces during outbreaks of Salmonella suggests that contaminated surfaces may also be important during outbreaks of CRE. It’s interesting that even back in the 1960s contaminated surfaces were recognized as potentially important in epidemics, whereas by the 1980s, the role of contaminated surfaces in endemic transmission was considered negligible. It’s difficult to know whether experts of the 1960s (perhaps there are some reading this?) would have considered contaminated surfaces important in both epidemic and endemic transmission? I suspect so, and we just lost sight of that in the 1980s and 90s. Article citation: Sanborn WR. The relation of surface contamination to the transmission of disease. Am J Public Health Nations Health 1963;53:1278-1283. Dear Jon,Interesting, insightful summaries. I write from Singapore and is in the business of providing bespoke healthcare and lab furniture. I am always looking out for the latest anti-bac coatings to be coated on our own products and also providing coating services to Hospital. Needless to say, I am confused with many of the research claims. So far, I think that Ti02 seems to provide a overall better deal, anti-bac, anti-odor, UV protection and anti-molds..am I right? I came across a relatively unknown Japanese Ti02 coating maker that claims a breakthrought in efficacy and general safety. It is using only pure Ti02 nano particles of all between 2-3nm ( breakthrough ), no binders ( safe ) , naturally bond to surfaces, works under even candle light, colorless and test reports shows very high anti-microbial activity. I was told by the inventor that 2-3nm Ti02 has amazing properties that the industry is not fully aware of. Do you think this is possible, so good? I have information that I will be most happy to email you.